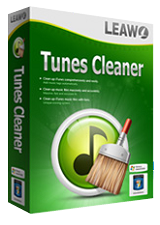 Leawo Tunes Cleaner is a Windows based iTunes cleaner program that can smartly clean up iTunes. As a professional iTunes cleanup program, it detects and deletes song duplicates in iTunes, gets album artwork for iTunes music files, downloads and adds music tags like album, song name, artist, year, etc. to complete music info, allows manual editing of music tags, saves unfixed music files for future fixing, etc.